It's time to get strapped in and put foot to the floor as you take control of the Corvette Stingray, This iconic American muscle car leaves little to the imagination. A whopping V8 engine that produces 600+ bhp and race car handling making the Stingray one of the best muscle cars to drive from a huge fleet. Fancy yourself as the next James Bond, well the Aston Martin driving experience is the perfect place to start. This experience is perfect for juniors aged between 11 and 17 and can be purchased as a gift voucher. Qualified track driving tuition on the superb Castle Combe race circuit with exclusive ARDS qualified instructos. Both on and off track instruction in your own car for the full day. Choose from Ferrari 360, Lamborghini Gallardo or Aston Martin DB9 and drive 4 laps of Heyford Park in Oxfordshire. 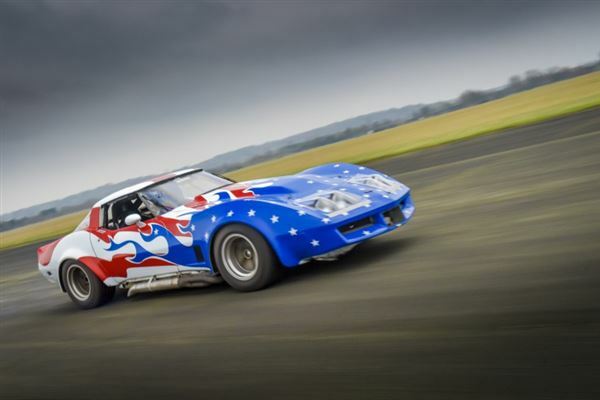 Drive three Supercars under expert instruction for 3 laps of Heyford Park Circuit in Oxfordshire with Trackdays.co.uk.